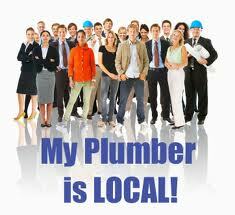 At Plumbers Blanchardstown we specialize in all of the Plumbing services that you may require. We also offer 24 hour Emergency Plumbing Services throughout Dublin and we can be with you within 60 minutes(often a lot quicker). We only hire fully qualified Blanchardstown plumbers and all of our work is done in a professional, competent manner. We always recommend that our clients do some reference checks with customers before deciding which plumber to choose. Total honesty and transparency from your local team, plumbers Blanchardstown. We pride ourselves on operating our business as transparently as possible. We always offer our customers the best possible price and services available. Our friendly and open approach has been the foundations upon which the reputation of our team has been built over the many years that we have been trading in Dublin. Our professional fully certified and R.G.I. registered Blanchardstown plumbers are available 24 hours a day, 365 days a year to help with all types of plumbing and heating jobs, large and small. Please see below some of the jobs plumbers Blanchardstown undertake. • All plumbing & leaks, including location and repair. • Central heating installs and repairs. • Complete kitchen and bathroom installations including, sinks, showers, baths, toilets. • 24 hour emergency plumber Blanchardstown service. • Domestic and commercial properties. • Unblocking drains using power flushing, rodding, plumbers snakes and C.C.T.V. Inspection. • Bathroom and kitchen tiling services. • Drains and blockages and any other plumbing issues. • All Pipe works including thawing and Sewer Line Repairs. We do not charge for call outs. If you need a Plumber in Blanchardstown we’re here to help. Call us on 01-6874850, our local team are on call 24/7. Our vans are fully stocked so we can always deal with your repairs and emergencies rather than doing the run around for parts. Call Plumbers Blanchardstown now for a free quote.